The Fall River Deaconess Home is committed to both the youth and staff of our program. We are currently seeking an energetic Shift Supervisor with an excellent sense of boundaries and behavior management techniques to work in a supportive environment and join our treatment team. Deaconess Home is a private, non-profit, community-based agency serving young women and their families with a comprehensive continuum of residential, educational, and supportive services. Located in the Historic Highlands of Fall River, Massachusetts, Deaconess provides educational, mental health, and health care services to youth and families from Massachusetts, Rhode Island and Vermont in an environment that is nurturing and supportive. Continuing in this tradition for well over a century, Deaconess has grown into an agency employing one hundred staff in a variety of roles, including special education, health services, behavioral health, and clinical counseling and social work. We offer a positive work environment where staff from all disciplines work together to provide high-quality care. The Awake Overnight reports directly to the Shift Supervisor and is a member of the agency team providing support and direction to the youth in our program. Shifts may vary. Direct Care Staff report directly to the Shift Supervisor and are members of the agency providing direction to youth in our program. This is a 40-hour position, primarily afternoon and late evening hours, weekends and holidays included in addition to a weekly Wednesday meeting from 9am – 12pm. The Nurse reports directly to the Health Services Coordinator and is a member of the overall agency team providing direct services to youth and their families. The Support and Stabilization Specialist reports directly to the Director of Support and Stabilization as a member of the team, supporting youth and their families within the community. The Teacher reports directly to the Educational Coordinator and is a member of the educational team providing lessons to the youth in our program. The Social Worker reports directly to the Clinical Supervisor and is a member of the clinical team providing therapeutic services to the youth in our program and their perspective families. Some evenings and weekends are required. with any questions regarding employment. Note: The Fall River Deaconess Home does not discriminate on the basis of race, color, gender, religion, creed, nationality, ethnic origin, ancestry, age, disability, veteran status, or sexual orientation in admission or access to treatment or employment. For the Month of December 2018, the Fall River Deaconess Home recognizes Deneen Price, Awake Overnight, for Staff Appreciation! 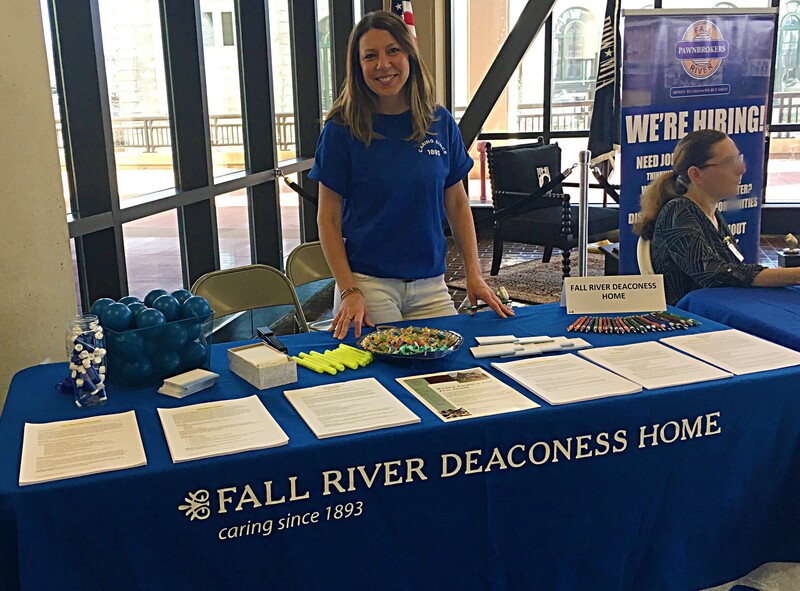 Fall River Deaconess Home is a private, non-profit community based agency offering residential and educational programs to enhance the well-being of troubled adolescents.